Beppu Bay is the type of the room on the ocean side where you can see the big ocean in Beppu Bay and the type of room on the mountain side of the town where the Beppu city ​​and mountain range can be seen.All the baths in the room are onsen.There is room with outdoor bath with room of special room, semi open-air bath, view bath. 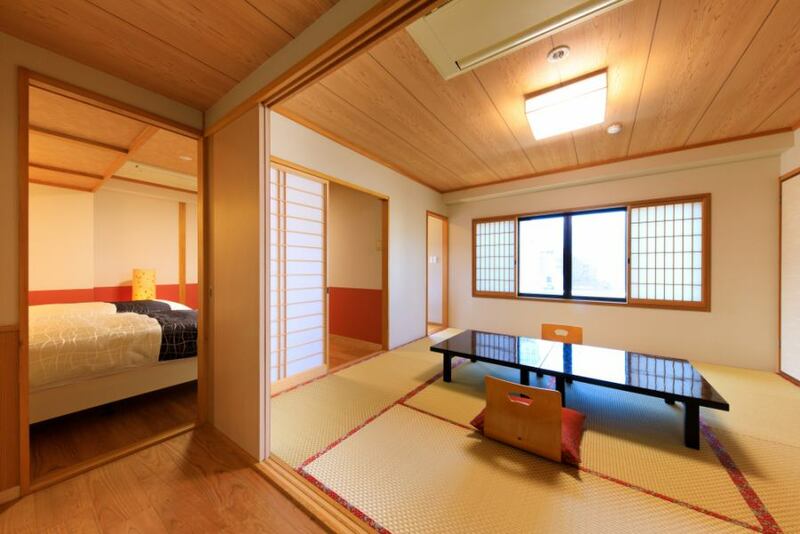 The rooms are tatami-mat room with tatami mats.There is a Japanese room and a Western style room. We are preparing recommended plan to each room type so that we can choose according to your preference and use. 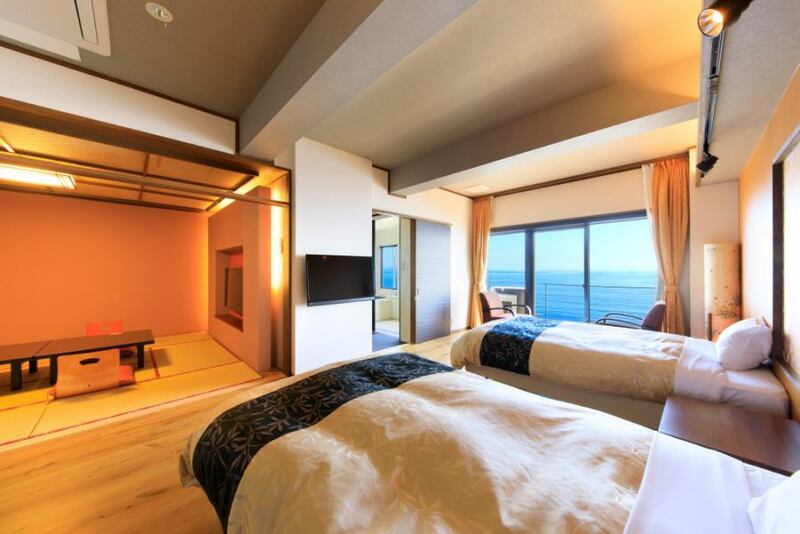 It is a Japanese-style room where you can see the sea of Beppu Bay in front of you.Please relax and enjoy the sunrise and the moonlight floating in the ocean. 【Internet connection available throughout the building】You can connect to the wireless LAN. 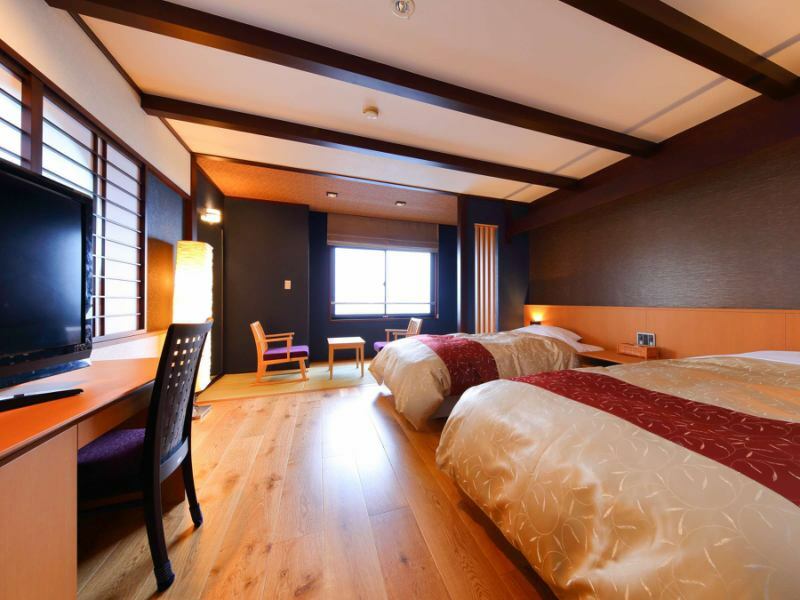 This room is equipped with a Western-style room with twin beds made by Simmons Co., LTD. and Japanese. The coast of Beppu Bay is visible in front of you, the summer and winter fireworks are superb. Recommended room for couples / business! , ※Room for 2 people. 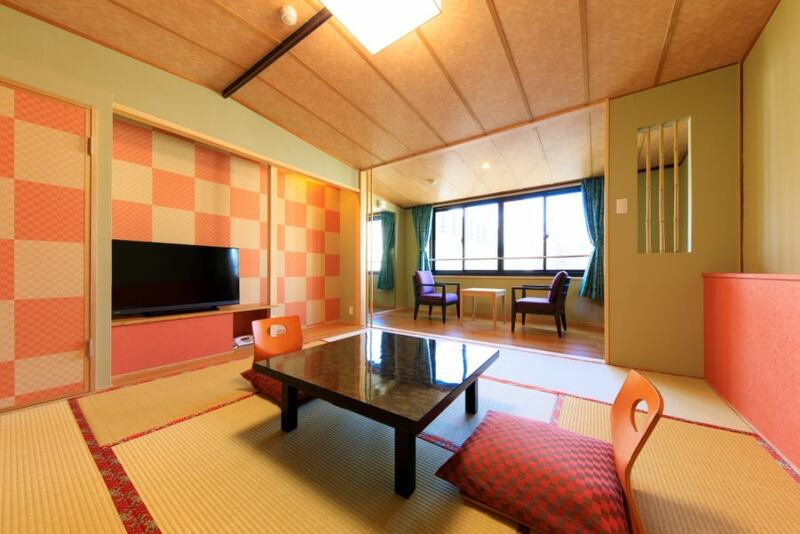 Beppu is a Japanese-style room with views of Beppu city ​​and mountains.Please relax and enjoy the city lights. 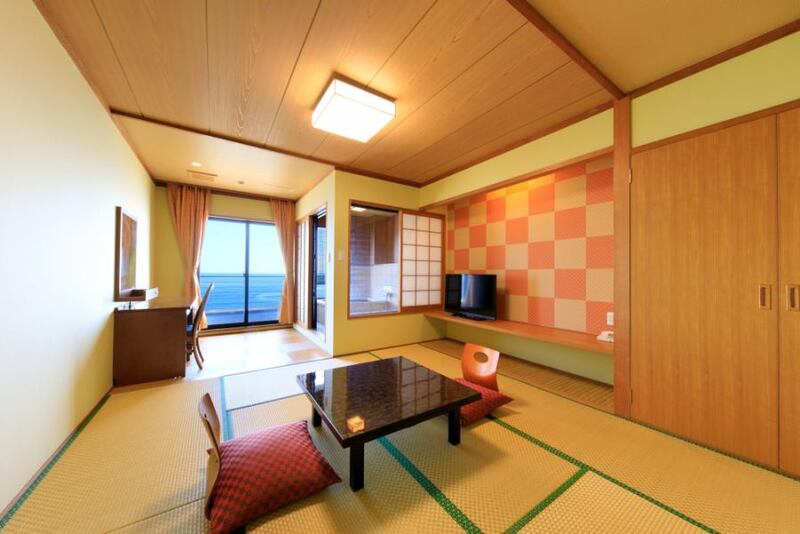 This room is located on the 6th floor in an 18-square-meter Japanese-style room with a semi-open-air bath (for 1 person) with a view of the ocean.Recommended for couples · couples / ladies' people! 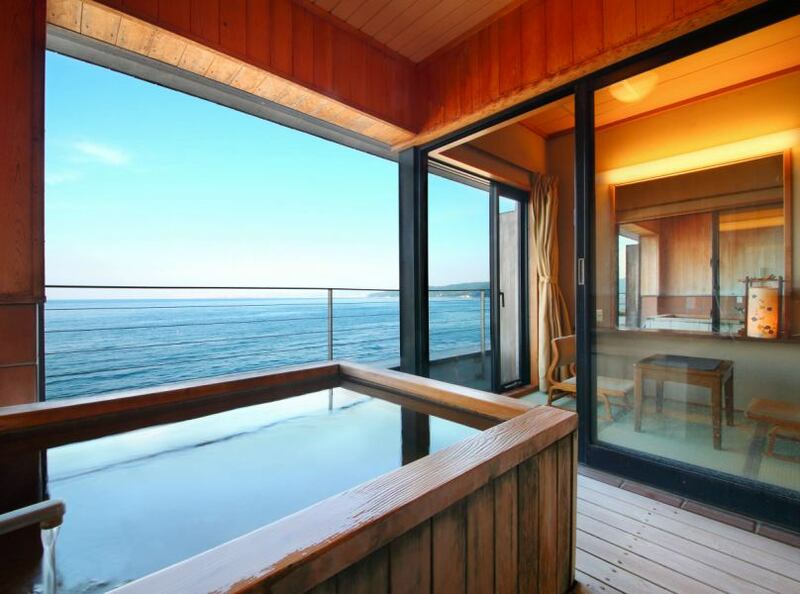 You can enjoy an outdoor bath while watching the sea.It is a room with a treading on the sea side 22 square meters, 6th floor.Recommended for couples · couples / ladies' people! It is the Japanese-style special room on the sea side on the 6th floor.Western-style room with twin beds with queen size and two rooms of 18 square meters in Japanese style.The view from which the ocean in Beppu Bay is overlooked Bath is also a source overflowing hot spring. 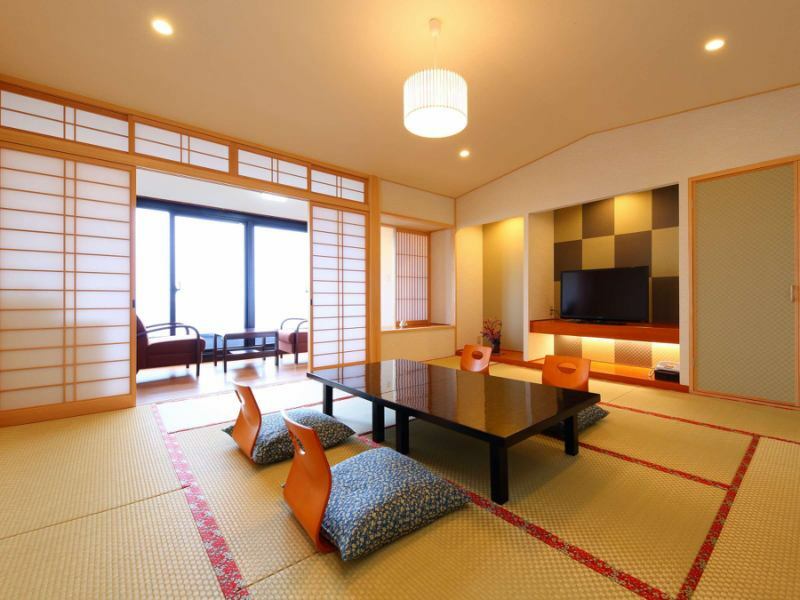 ※It is room for 5 people, but in case of 4 or more people, it is information on the banquet hall of the private room. ※We are making less steps. 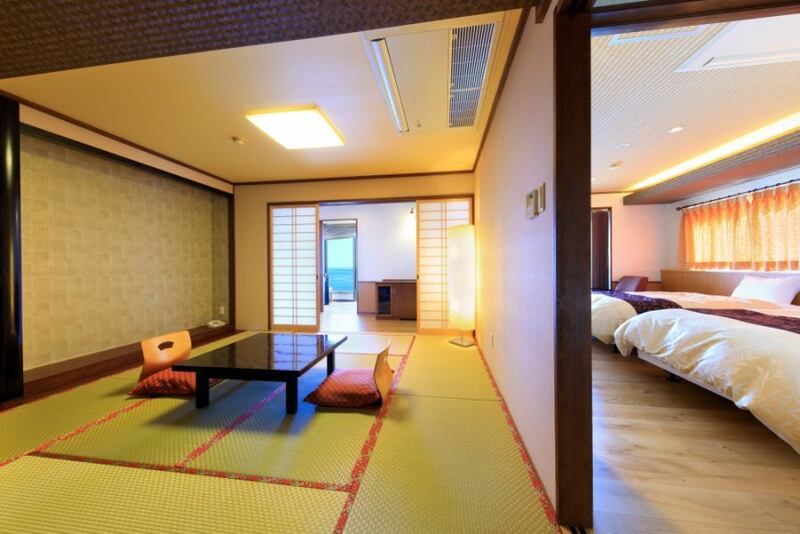 The sea of Beppu Bay spreads out in front of you, and you can relax by watching the moonlight and the morning sunshining in the waves, the Western-style Western-style room on the top floor "2 wide beds" and the Japanese-style room with 18 square meters of sea side Japanese style room! There is an outdoor bath and shower room with sea view! , Recommended room for couples, family, ladies and groups! , ※It corresponds to 5 people. Please note that 100% cancellation fee will be charged for the case of no-show where there was no previous cancellation · contact.